Qualifying for Nationals. It’s all I can think about, and I’m willing to do anything it takes to make it happen. I can handle long miles and hill sprints in cross country, but guys? That’s an entirely different challenge. I’ve kept my feelings hidden from the boy next door all this time. My longtime friend, Jace Wilder doesn’t see me that way. He has the personal magnetism and good looks to hook just about any girl in town -- and he has. Our friendship stands apart from high school social circles, and I’m fine with that, or so I keep telling myself. That is, until running star Ryan Harding moves to town and bridges the gap. Apparently, I’ve caught his eye and suddenly Jace starts seeing me in a different light. Everything changes, for all of us. On the trails, my goals are clear. Train, run, breathe, run, win. But when it comes to Jace and Ryan, it’s nowhere near as simple. This battle can’t be won by crossing a finish line, this war is in my heart. Winning nationals wasn’t the only dream that came true. I also walked away with the heart of the one boy I couldn’t live without. I knew that being Jace Wilder’s girlfriend wouldn’t be simple. But how could I have known all the hurdles we would face? Drama at school? That’s a given. Jealous girls? That I expected. Family secrets? Not so much. At least I can always hit the trails to clear my head… or so I thought. The high expectations from my winning cross country season still haunt me, and hold me hostage. I can’t seem to get psyched up for what comes next. My competitive spirit is fading and I’m lost without it. What will I do when my one constant is no longer my safe place? Life on and off the track is spiraling out of control, leaving me in its wake as I struggle to remember who I truly am. Senior year is finally here, and with it comes a surge in my competitive spirit. I’m determined to defend my national cross-country title. Although Jace is busy with the demands of college football, he’s still cheering me on and supporting my goals. With him by my side and my drive focused like never before, I’m ready to take on the world. But am I taking my renewed enthusiasm for training too far? As Jace and I focus on our athletic ambitions, we discover that his social status has followed him to college, despite attempts to keep a low profile. With my boyfriend as the campus idol, I fear that I might just be a target to those who find Jace threatening. Tests and trials lay before us, not just on the trails and field. Are we strong enough to withstand the pressures of everyone wanting something from us? It won’t be easy fighting for my title and my boyfriend at the same time, but nothing easy is worth winning… or keeping. College isn’t all fun and games, and it gets lonely at the top. Thankfully, I have Pepper. She is the last person I would ever dream of hurting, but when I realize she has the power break my heart, I do the only thing I know. I push her away like I did back in high school, back when I thought she was better off without me. One thing’s becoming clear, I’m not better off without her. I need her. What have I done? I thought everything would fall into place when I started college, instead everything is falling apart. Uncertain of my coach’s expectations or my place amongst new cross country teammates, I’m struggling to redefine my running goals and prove myself. My steady relationship with Jace should be a source of comfort, but his unexplained behavior throws everything between us off track. Running may be the only way to help me get through it, but I’m not running away, not from this new team or from Jace. This freshman is headed for the finish line, and nothing is standing in my way. I’ve made it this far and I’m not about to slow down now, in fact I’m ready to start breaking some records. With my junior year of college quickly approaching, I know it’s time to step it up a notch if I want to run professionally after I graduate. Hoping for a race day breakthrough, I wonder if it’s actually a mental barrier holding me back and if so, how am I supposed to confront what I can’t see? Letting my past be my guide, both on and off the trails, I listen to my heart and finally know what it takes to win it all… trust. In Jace and myself. I want Pepper back. Anyway I can have her, however she will take me. I’m reluctant to bulldoze my way into her life, having already crushed her once (okay, probably a few more times than that) before, but I’ll do whatever it takes. I just need to remind her what we had- what we have, and what’s at stake, but first, I’ll have to get her to listen to me. What happens if I’m too late and she crosses the finish line without me? The best part of a happy ending... finding out it's actually just the beginning. Having someone promise to be by your side, to chase dreams with, whisper troubles to, it's more than I could have imagined. We vowed not to let our love deter each other's athletic goals, but I miss him. I miss us. After years of dedication and sacrifice, I'm finally in a position to trade to my hometown team. Moving back to Colorado could be the answer to all our problems, but just when I think we're finally on the right track, we're sacked with news that turns everything upside down. News that rattles me and sends Pepper into a tailspin. It's time for me to remind the girl that I fell in love with how to fight. Until she's ready, I'll fight hard enough for the both of us. For better or for worse. This e-book only collection includes the first FIVE books in the coming of age series that has readers of all ages hooked. 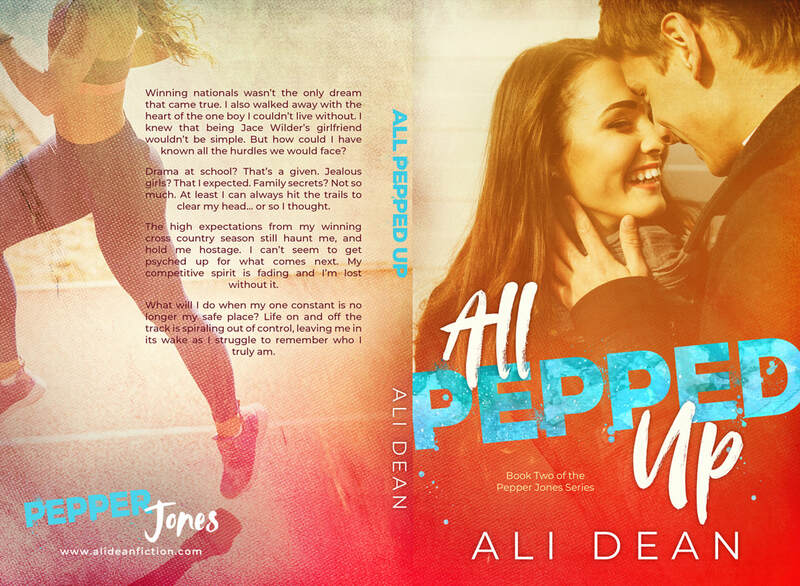 If you haven't already fallen in love with Pepper Jones and the cast of characters in Brockton, Colorado, now's your chance to read the entire series in one smooth ride. 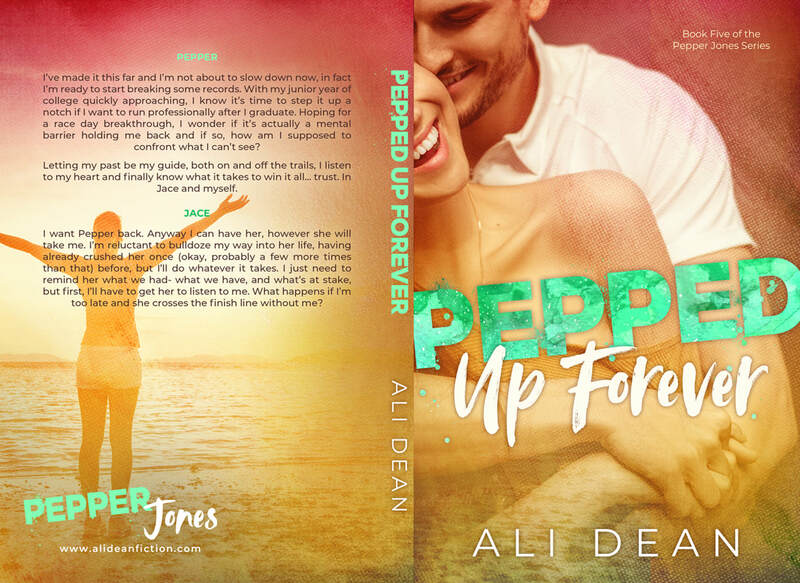 "Ali Dean is Incredible! This is one of my all time favorite sports YA series. If you haven't read it yet, you are missing out. It is worth the purchase. You will read and reread again and again." "I absolutely loved this book. Everything about it. 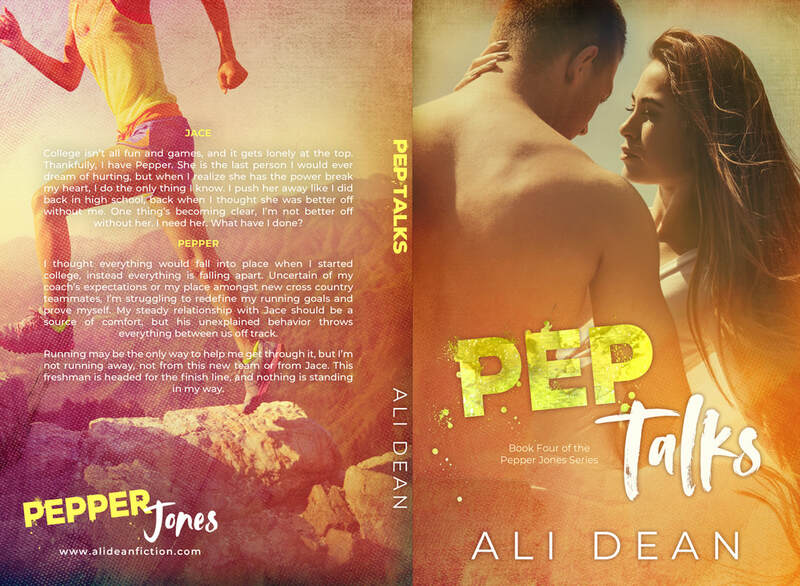 It’s dripping with angst, has strong characters, an edge of your seat romance, and a fabulous running subplot." "This author is clearly a very talented writer. Her writing is smooth, and her characterizations are vivid and three dimensional. 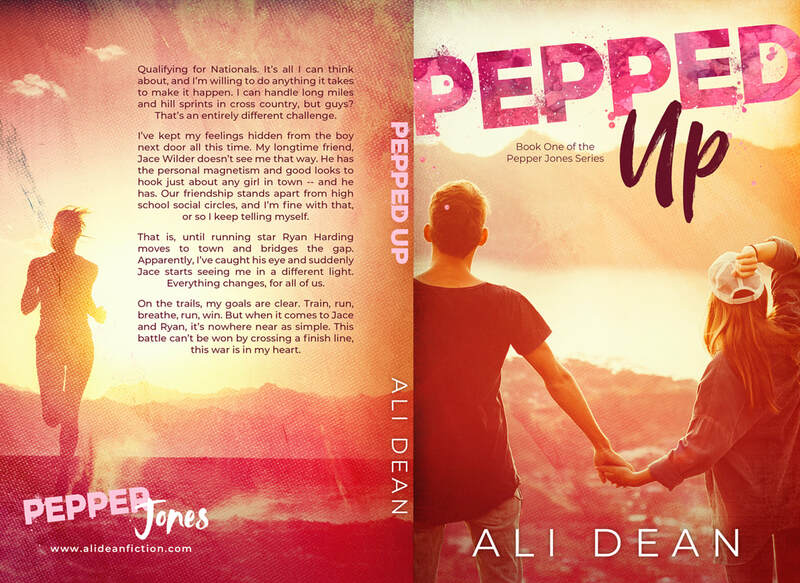 Pepper is a dynamic, extremely sympathetic heroine. 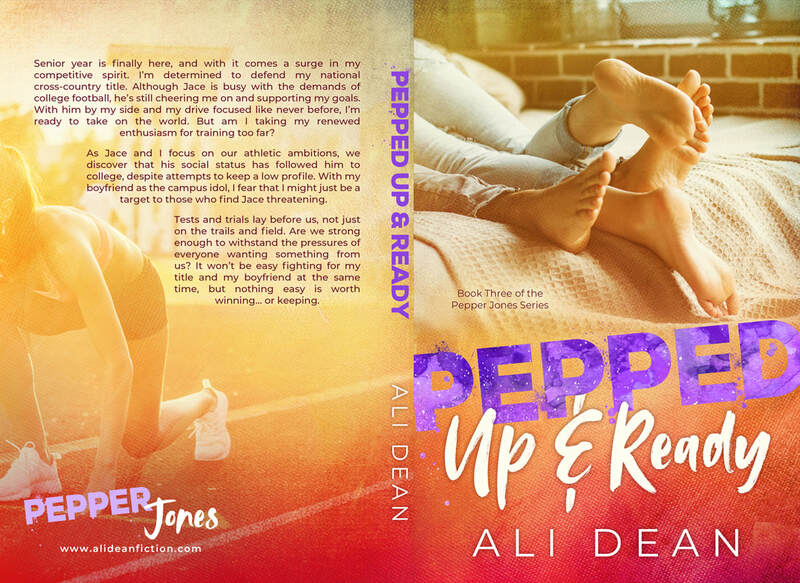 I enjoyed the use of first-person point of view, and I found the window into Pepper's running world fascinating." Ryan Harding. He’s running royalty. The guy I’ve been following online since I started this sport. Sure, I’ve got a crush on him, but so does nearly every other runner in the country. I’m an unknown in this world, it’s not like the prince of distance running is ever going to notice me, which is for the best. I’ve been down this road once before with the Mr. Perfect type, and I’m not doing it again. Indigo Adams stood out the moment I saw her cross the finish line. She’s not only got a gorgeous stride and stellar kick, but possesses the tenacity and drive required to reach the top. She’s the perfect fit for our newly-formed team in Colorado, though her running potential isn’t the only thing that’s captured my attention. Indigo seems skeptical of our selection of her and even more skeptical of me and my intentions. What will it take for her to see she belongs here in Brockton, on this team… and with me?